Envisioning, the ability to perceive far more than the obvious, is part of creation. God, help me to understand how to separate things while holding them together. Enlarge my ability to envision what is possible. Position your body, hands and head as you see God positioned here. 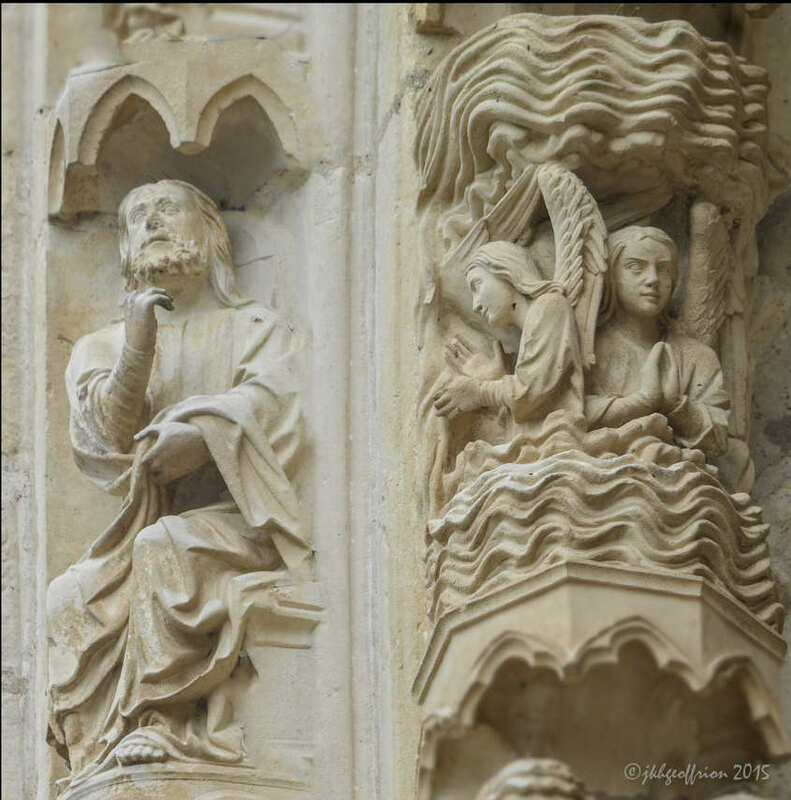 Photos: God creating the firmament as depicted by thirteenth century sculptors. The outer left voussoir of the central bay of the north porch at the Chartres Cathedral in France.